The open world shooter Sunset Overdrive will launch sometime in 2014, according to a recent announcement from Microsoft. Amid the talk of day one games in the Xbox One’s launch press release, future titles were mentioned for 2014, Sunset Overdrive included. Announced earlier this year during E3, the reveal of this Insomniac developed game came with very little info. 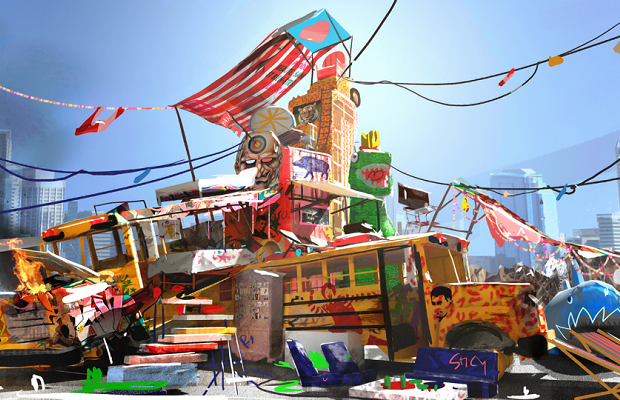 Set in the near future, Sunset Overdrive takes place in a highly stylized city in the midst of a mutant problem. Not many specifics are known, but players look to be using a bunch of makeshift weapons and parkour-like abilities to deal with said problem. Sunset Overdrive will be exclusive to the Xbox One.